The winner of the contest will get a $25 gift card and a free shirt they can wear on the day of the event. The sheik-a-thon will take place on April 6. 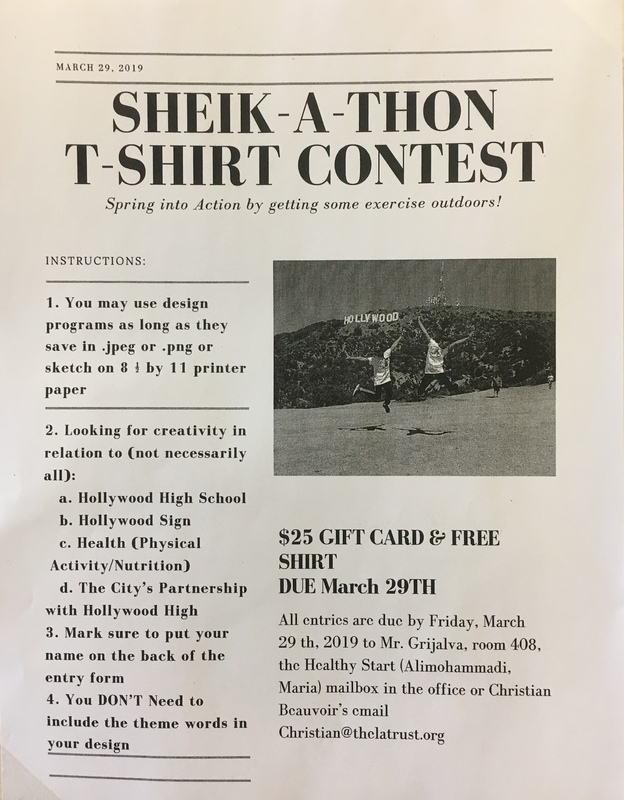 All entries are due by Friday, March 29 to Mr.Grijalva, room 408, the Health Start (Alimohammadi, Maria) mailbox in the office or Christian Beauvoir’s email: Christian@thelatrust.org.